According to Web Design Express, the speed of your website has become an important ranking factor for major search engines like Google. Google’s emphasis on speed means that your site should be efficient, and load quickly. 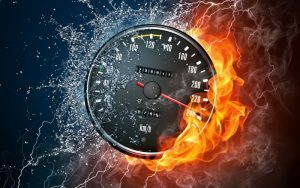 Here is some information on why the need for speed is important, as well as what you can do to keep your site fast. One reason why people seek affordable Web design in Glendale, Ca, is to attract customers. If the site is too overloaded with graphics and massive files, then it won’t load very quickly. Customers tend to leave if they don’t find what they want within about ten or fifteen seconds. If your site is just a white screen that whole time, customers may not even see what you are offering. Also, slow sites can indicate something is wrong. If your site is slow, there may be a plugin or some background element that isn’t functioning properly. Fixing these problems is an important step in maintaining your site. Google uses speed as a measure to determine whether you’ve put time and effort into your site. Just link URLs, this important ranking factor can be the difference between you and your competition. Google also maintains tools that are aimed at helping webmasters find the problems that do exist, and provide some insight into fixing those issues.